MF Doom has been a one of my favorite artists since I first heard him as part of KMD on their classic Mr. Hood back 1991. But like a lot of people I really started to to take notice of his production when he dropped Operation Doomsday in 1999. Doom always seems to use obscure samples as the basis for his production; strange film scores, obscure TV themes and long forgotten dodgy 80s soul tunes. In the past I have only managed to track down a few Doom samples, on vinyl that is not the internet. But on a recent trip to a second hand record store in one of the many markets in Dublin's city centre I managed to find a couple of little gems. 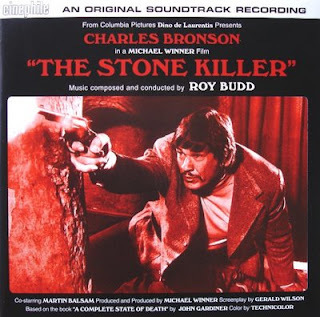 The First was a copy of Roy Budd's film score to a Charles Bronson film called Stone Killer. Roy Budd is an English film score composer who is probably best known for producing the film score to Michael Caine's Get Carter. I picked the record up because I have a copy of the Get Carter soundtrack which is damn funky and they were only charging about €12 which seemed like a bargain to me. When I got it home and played it I was not disappointed its a strong soundtrack full of suspenseful tracks and about half way through the main theme of the soundtrack there is a dope MF Doom sample which he used on the King Geedorah album on the track LockJaw (A tip of the hat to Marvel's In-humans, comic heads know what I mean). Its a short track but Doom uses the sample to make up the heart of the it and its dope. 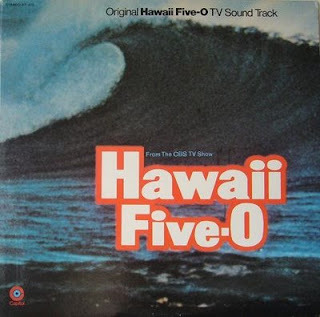 The second record I got was the soundtrack to Hawaii 5-0 by composer Morton Stevens. I got this one for €10 and figured it was worth owning just for the main theme to the program. Morton Stevens has been used by a couple of other hip hop artists including Fat Joe and OutKast. But the track that I like best on the Hawaii 5-0 soundtrack was used by Doom on the Madvillain album with Madlib. 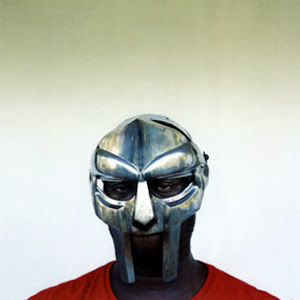 The track Doom used it on is the Illest Villain which is another short track (Doom seems to like to keeps his tracks short from some reason) but again he uses the sample well to create another signature Doom track. Check the tracks and the tunes he used them on below.